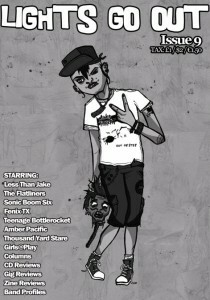 Interviews with: Less Than Jake, The Flatliners, Fenix TX, Teenage Bottlerocket & Amber Pacific. Laila from Sonic Boom Six’s tour diary. Features on Thousand Yard Stare and Girls@ Play. Band Profiles: The Bullet Kings, Push The Ghost, Mummy Say’s I’m Special & The Alter Egos. Packed with CD reviews, gig reviews, zine reviews and loads of columns as well.